At one time a practicing physician, Dorian "Doc" Paskowitz realized that he had no interest in money or status, and in time became the patriarch of "the First Family of Surfing." Chronicling a subculture and a highly unconventional lifestyle, this 2008 documentary follows Doc and his clan, living in a camper and traveling from beach to beach in order to surf at every opportunity. Hardly a bohemian, Doc raises his eight sons and one daughter as observant Jews, and compels them to adhere to an extremely strict diet of his own devising. In interviews, the now-adult Paskowitz children discuss the many drawbacks of their upbringing, and comment on how they made their peace with an unsparing father. 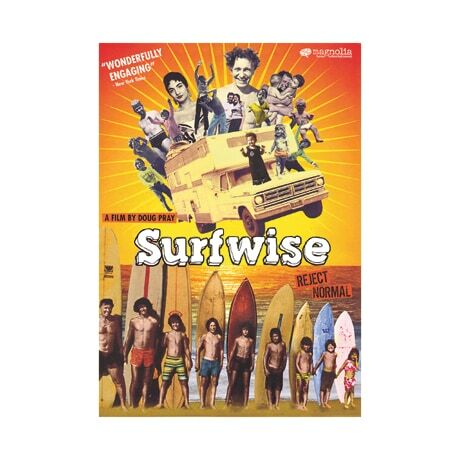 Among the DVD extras included here are outtakes, director's commentary, a segment on Doc Paskowitz, and two featurettes on surfing.